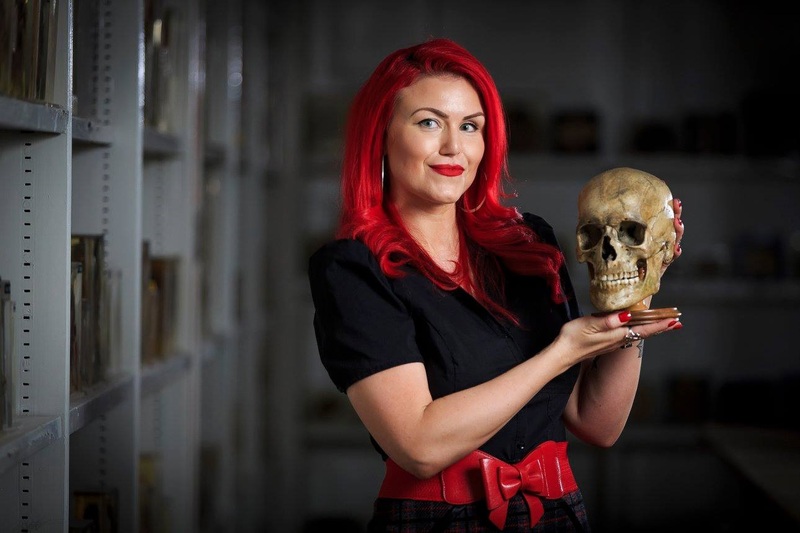 Birkbeck student, author and mortician Carla Valentine describes how she came to her unusual career, and the impact her MA in Museum Cultures has had on her work. I’d wanted a career in a mortuary from when I was a young child and, as odd as this seemed at a time before CSI and Silent Witness, I do write about the different issues which came together to send me along that unusual path. Over the years I gained experience of embalming, forensics, post-mortems of adults and the young, decomposed and freshly deceased, radioactive decedents and those with highly infectious diseases, as well as victims of the July 7 Bombings in 2005. After nearly a decade of working alongside pathologists at the same time as the Human Tissue Authority was being created I became more aware of the variety of ways in which we may encounter the deceased today: in the post-mortem sector, at medical schools for teaching students, and public display (all areas which the HTA now regulate). Fascinated by the concept of our interaction with the dead in the public arena, I sidestepped from dealing with the recently deceased in mortuaries to becoming the curator of Barts Pathology Museum, part of Queen Mary University London. Although my work now involves human remains around a century old, the basic method is very similar: it’s my job to ‘read’ these human remains in order to find out about how they lived and how they died, then decide why and how this is relevant for a public audience. I was therefore thrilled when I discovered the MA in Museum Cultures at Birkbeck, which gave me the option to study Exhibiting the Body as a module with Dr Suzannah Biernoff and then carry out an Independent Research Project and a dissertation of my own choosing. Now I work with human remains and research their display at Master’s Level, with my day-to-day work supplementing my studies and vice-versa – it’s ideal! However, my previous career as an autopsy technician was a rollercoaster-ride and I’m thrilled I was able to tell the story in my book Past Mortems.